"Very pleased with work "
"Very pleased with the work!" Scott R. in Fountain, MN had water leaking into his basement through the crack where the wall meets the floor. He decided to start looking for a waterproofing contractor and that’s when he found the American Waterworks website. 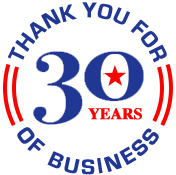 He was impressed that we have been waterproofing experts for almost 30 years, so he decided to contact us for a FREE estimate. One of our Design Specialists, Pete Wangen, went to his home to inspect his basement and he developed a thorough waterproofing plan. Scott was happy with the proposal, so they scheduled the installation. Our production team removed the concrete around the perimeter of his basement floor and laid our WaterGuard drainage system. Then, we installed a TripleSafe sump pump in the corner of the basement. The WaterGuard guides water to the sump pump and then the water is pumped out of the home through the discharge line. Lastly, they replaced the concrete and installed our CleanSpace vapor barrier system which protects the basement from moisture and potential mold growth. Scott was very pleased with the result and it happy that he can now enjoy a dry, healthier basement! Interested in learning more about our waterproofing system? Click here! Contacting you on behalf of my mother, she has a sinking cement pad outside her basement/back door that has exposed the tar paper and now she has "something" digging at her foundation. I am a real estate agent representing a buyer. This is the property that they are purchasing and need an estimate for a bowing basement wall as soon as possible because we are still in the inspection phase so the sooner the better. Would be nice if crew spoke fluent English. Heidi And Phil D. Calhoun Ave S.
Very pleased. The true test will be next spring and summer with rains and humidity. We expect all good things! Green Gables Inn E. Elmood St.
Real happy with American Waterworks! Mike is great! Dakota and Austin were super fast, efficient, and nice! The crew did a wonderful job. They were friendly, smiling and whistling while they worked. Very hard working and they are worth every penny they are paid! Crew got the project done in a timely manner and did an excellent job. NexusPro is a durable binding agent used to repair cracked concrete slabs on your Fountain property. SealantPro seals concrete driveways and pool decks, restoring quality and protecting against UV, weather, oil and water damage for 3 to 5 times longer than other concrete sealants. Repair your concrete and seal in quality with our concrete protection system. Are you concerned about water in your basement or crawl space, or cracks in your foundation or concrete slabs? American Waterworks is your local expert in all of these services and more. We offer free estimates to all of our customers in Fountain, MN and throughout the surrounding areas. Schedule yours today! Rick D. in Fountain, MN had a garage apron that had sunk about two inches over time. He was concerned for the safety of his family because it had become a trip hazard. After researching concrete repair options, he decided to contact American Waterworks because he was interested in learning more about our PolyLevel concrete repair solution. We sent a Design Specialist to his home to inspect his concrete first-hand and design the right solution for his needs. Our Design Specialist explained that PolyLevel is a polymer foam that we inject into the concrete, which causes the concrete to be raised as the foam expands and hardens. PolyLevel is more efficient and cost-effective than traditional concrete repair, so Rick chose to move forward with the injection. Our concrete repair experts drilled small holes into the concrete apron and then injected the polymer foam. They repeated this process a couple of times until the concrete was even with the garage floor and the rest of the driveway. They filled back the holes with concrete and then sealed the cracks in the concrete with our NexusPro sealant. This sealant protects the concrete and gives it a nice, finished look. The process only took a couple of hours, and now Rick can enjoy beautiful, level concrete for years to come!